For the first time ever, the Bay Area’s Ford GoBike network — and related bike share systems in eight other cities — will provide free rides on Election Day, Nov. 6 in an effort to increase civic participation and reduce barriers to voting. 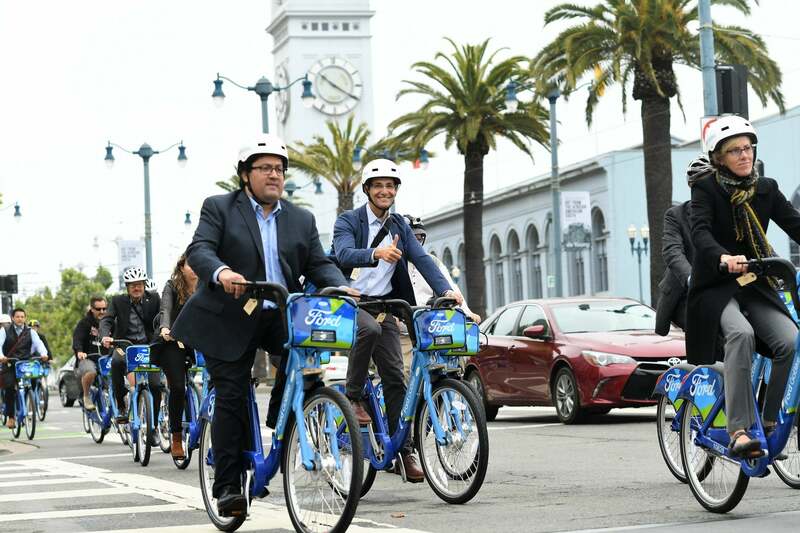 The free ride initiative was announced this week by Motivate, the company that operates Ford GoBike in the Bay Area under a contract with MTC. Customers can simply use the code BIKETOVOTE in their Ford GoBike app to access a free day pass next Tuesday. Motivate cites a study by the Center for Information & Research on Civic Learning and Engagement that reports 29 percent of young Americans surveyed said transportation was a reason they did not vote in the 2016 presidential election. Fifteen percent of the surveyed youth said a lack of transportation to their polling place as a “major factor” for not voting, with this number rising to 38 percent among non-white youths who did not vote in 2016. In addition to Ford GoBike, Motivate operates CitiBike in New York and Jersey City, N.J.; Divvy in Chicago; Bluebikes in the Boston metro area; Capital Bikeshare in the Washington, D.C., area; Nice Ride Minnesota in Minneapolis; BIKETOWN in Portland, Ore.; and CoGo in Columbus, Ohio. In Chicago, Divvy riders must use the code VOTE18 to access the free day pass on Nov. 6. Customers of all other Motivate-operated bike share systems will use the same BIKETOVOTE code employed by Ford GoBike.